As the country readies itself for the Inauguration of the President-elect this weekend, many citizens are taking their freedom of speech to the streets. On Saturday over 40,000 people are expected to participate in a silent march in solidarity for women’s rights. Grab your mittens, gloves and insulated clothing, create a thought-provoking sign and head over to Judkins Park to join in on this amazing event. What could make walking and participating in community action even more fun? 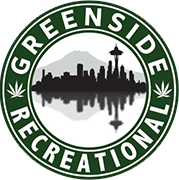 That’s right…legal cannabis from Greenside Cannabis, your local seattle pot store. Before you grab your bus (I would suggest finding alternate transportation as traffic and the amount of people downtown will make parking a nightmare) stop by our shops on Lake City Way and in Des Moines to stock up on the best weed for changing history. Below we list our suggestions for hybrid strains which will offer you the best protest motivation. 1.Bettie Page – A 50/50 hybrid, this strain, named after an UNSTOPPABLE woman, will give you a mellow yet energetic high with its high THC levels. 2.MiddleFork – a hybrid strain that was created locally! Middlefork is known for its relief of anxiety, pain, and nausea. Creativity and energy are also welcome side effects of this citrus-smelling flower. A perfect pick for the attitude needed to make a statement. 3.Super Lemon Haze – This hybrid, has very lemony characteristics with a zesty, citrusy smell and a tart and sweet taste. The effects of this flower are very energetic and lively, so use this for an extra boost, but maybe avoid it if you already wake up singing. Greenside Cannabis is excited to be your partner in change. With an expansive selection and two convenient locations, the staff is ready to give you all the cannabis-related tools you need while seeking positive change.